A select collection of Keyring s for your keys or bag. 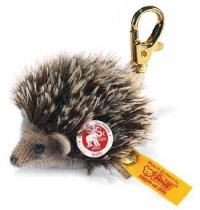 The adult version of the Steiff Keyrings. These Keyring s are all made of mohair. This Steiff pendant is 10 cm. / 4" tall and made out of white mohair. This Steiff animal has safety eyes and is fully jointed. 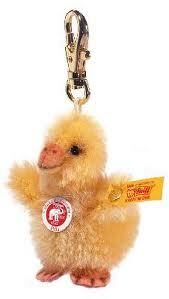 This Steiff keyring is not a toy and is intended for adult collectors only. 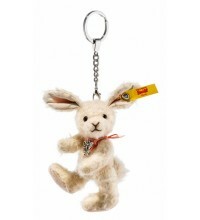 Steiff EAN 040344 pendant little rabbit, 10cm. This Steiff pendant is 10 cm. / 4" tall and made out of light beige mohair. This Steiff rabbit has safety eyes and is fully jointed. 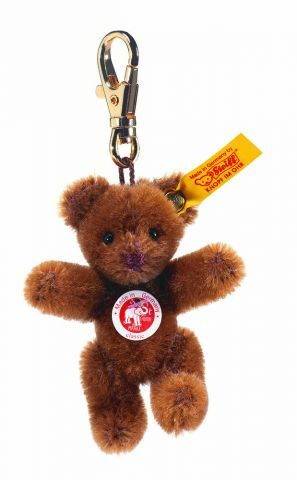 Steiff EAN039003 keyring mini teddy russet, about 10cm. Mini Teddy made out of russet mohair, surface washable. (For adult collectors only, not a toy). 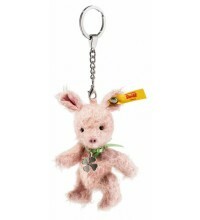 Steiff EAN 039102 keyring mini teddy pink, 8cm. Little Teddy keychain in old pink coloured mohair, 8 cm. Surface washable. Steiff EAN 039386 Pendant little teddybear, 10 cm. 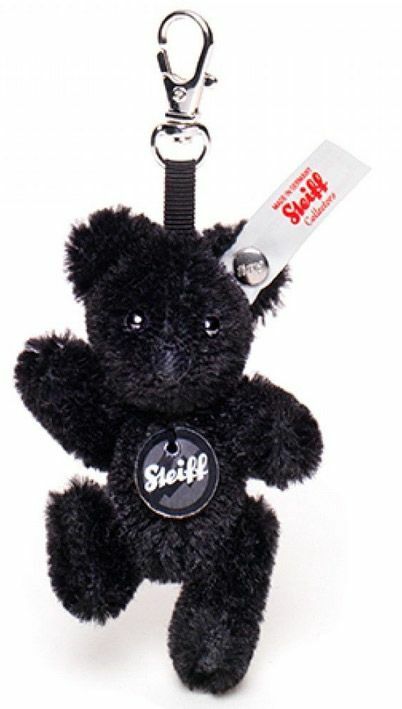 This Steiff pendant is 10 cm. / 4" tall and made out of brown mohair. This Steiff teddy bear has safety eyes and is fully jointed. Steiff EAN 040337 pendant little cat, 10cm. This Steiff cat has safety eyes and is fully jointed. Steiff EAN 040320 pendant little pig, 10cm. This Steiff pendant is 10 cm. / 4" tall and made out of pink mohair. 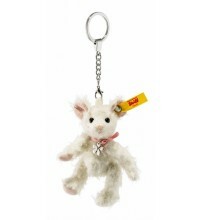 Steiff keyring EAN 075483 Pilar chick mohair, about 7cm. 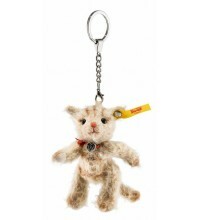 Steiff EAN 039355 Keyring mohair teddy blond, 10cm. Little mini teddy of blond mohair. Surface washable. 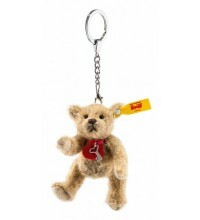 Steiff EAN 039096 keyring Teddy Cafe au lait. 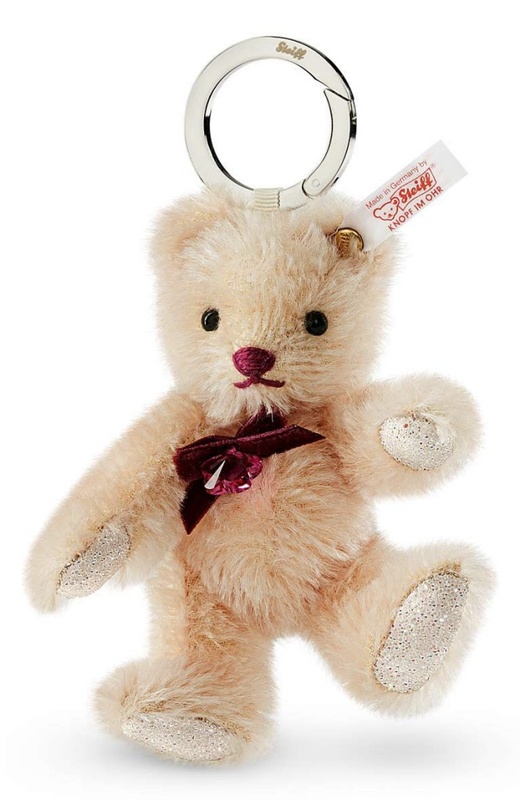 Steiff EAN 039096 keyringTeddy Cafe au lait, 8cm. Teddy keyring made of coffee coloured mohair. Surface washable. 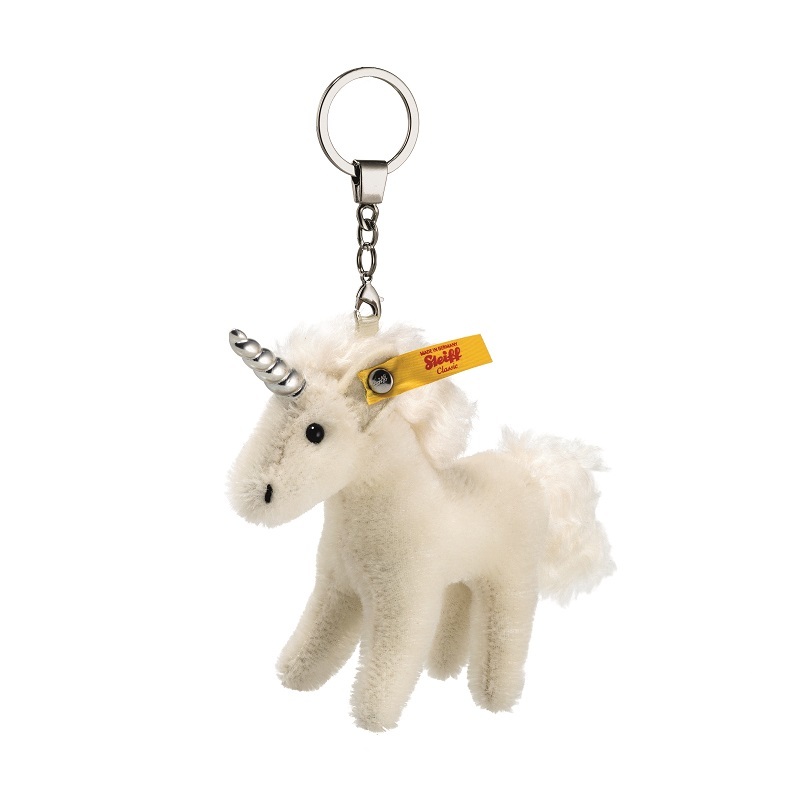 Steiff EAN 030918 pendant unicorn, 11cm. Steiff EAN 034381 Pendant Teddy Bear, 8cm. Steiff EAN 034657 Susanna Teddy bear pendant, 11cm. surface washable with crystal "Button in Ear"
Steiff EAN 040375 Mingo Flamingo Pendant, 9cm. 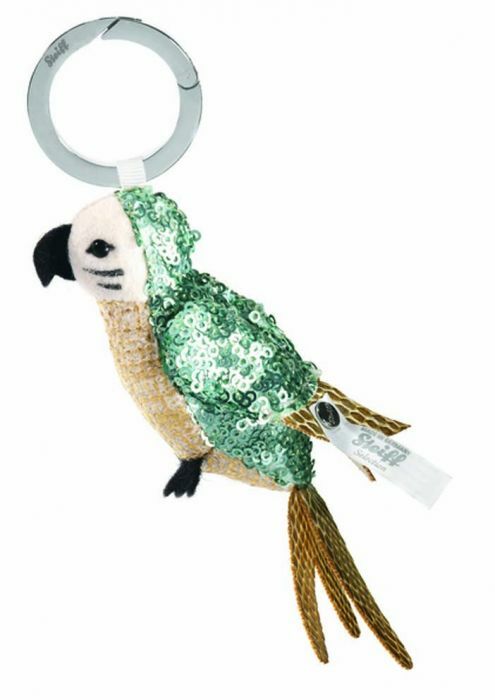 The Steiff 2013 collection has Paradise Jungle as a theme and this Steiff keyring bird is part of it. He is limited to 2.000 pieces world wide. Ava is 9 cm. / 3.6" tall and made out of mint sequin material. Ava has safety eyes and a cotton nose. The surface of this bird can be cleaned by hand. 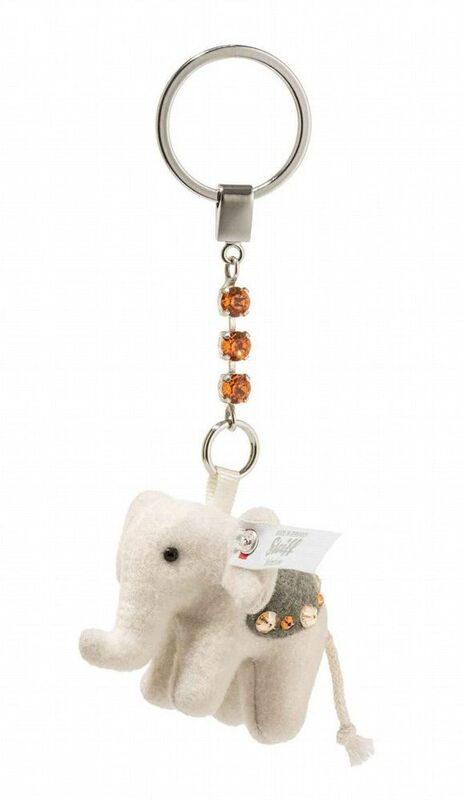 Steiff Selection keyring Ava Paradise has a silver-colored button in his left wing with a grey with black letter tag. 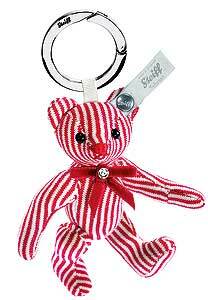 2011 Steiff EAN 035838 Selection Candy Cane striped Teddy Pendant, 10cm. Candy Cane pendant is made of striped cotton with safety eyes, embroidered nose and has synthetic filling. He is fully jointed. He comes in a bag with certificat. 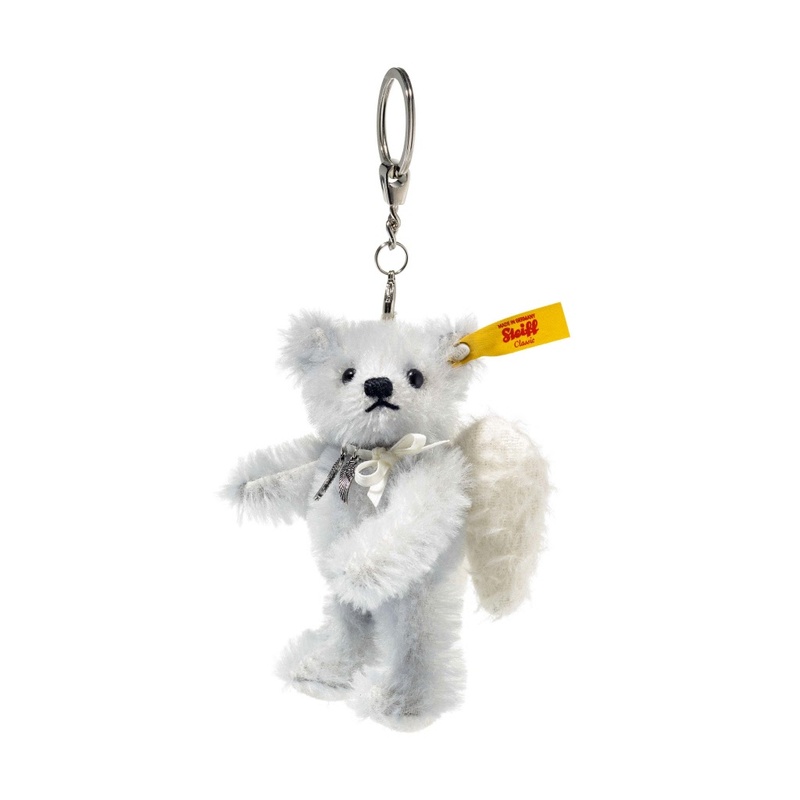 Steiff Pendant Teddy Grey, 10cm. This Teddy pendant is made of grey felt with striped cotton hands and feet. He has safety eyes, a stitched nose and is filled with synthetic filling. He has a universal tag in his ear, without ean number. 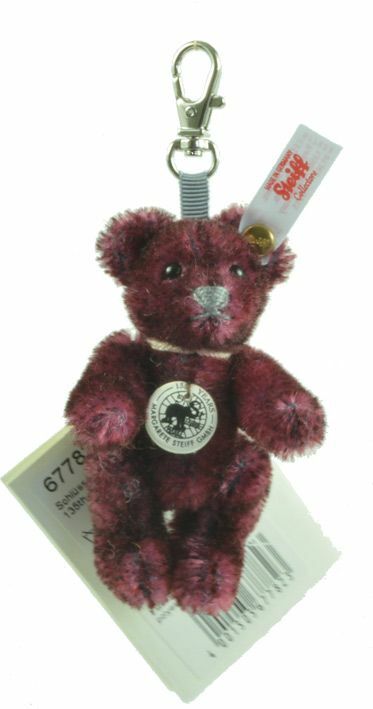 2014 Steiff EAN 677854 Rosa Teddy Pendant, 12cm. 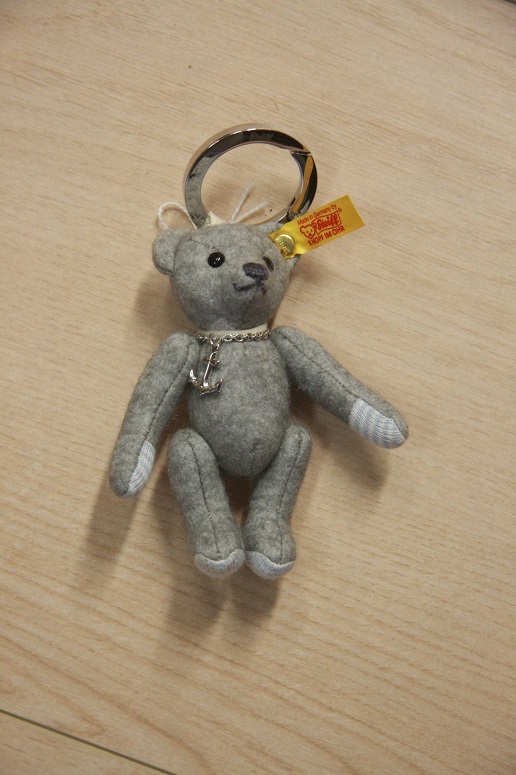 The Rosa Keyring is made by Steiff in 2014 as a limited edition of 1.500 pieces for Asia. The keyring is 12 cm. / 4.8" tall and made out of pink mohair, fully jointed and filled with synthetic filling material. She has a hand stitched nose and safety eyes. Her paw pads are bejeweled with Swarovski elements and she has a Swarovski Chrystal on her bow.